King Realtors has met the housing needs of San Antonio continuously since 1974. Specializing in the sale of distinguished homes, the firm is located in the heart of Alamo Heights at 5600 Broadway. Like our city, people are the focal point of King Realtors. Our enduring reputation is founded on integrity, expertise and service. right time? 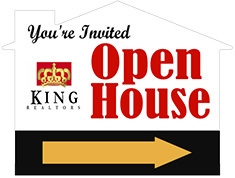 King would like to assist you in answering all your home related questions.